Featuring the poetry, prose, and photography of Paul Asta, Doug Paul Case, Kyle Hemmings, J.D. Ho, and Rachel Lyon. Cover design by Ed Franklin. 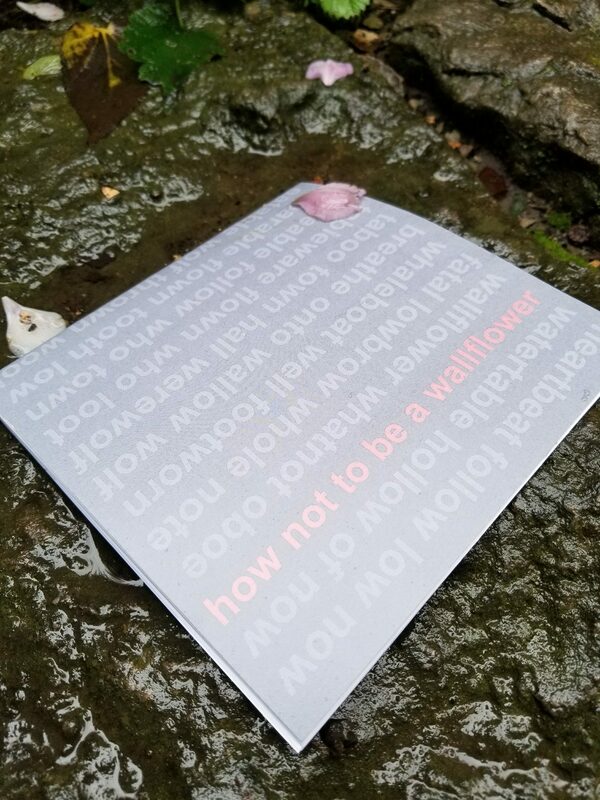 Pre-orders are now open for the fourth volume of Scrimshander Books, HOW NOT TO BE A WALLFLOWER. We’ve been looking forward to this one for a while, and we hope you love the brilliant work in this issue as much as we do. We’re also offering a pre-order special — reserve your copy now and receive any Scrimshander Books back issue for FREE. If you’ve been curious about our little press, this is a great chance to see what we’re about and read some excellent poetry and prose. 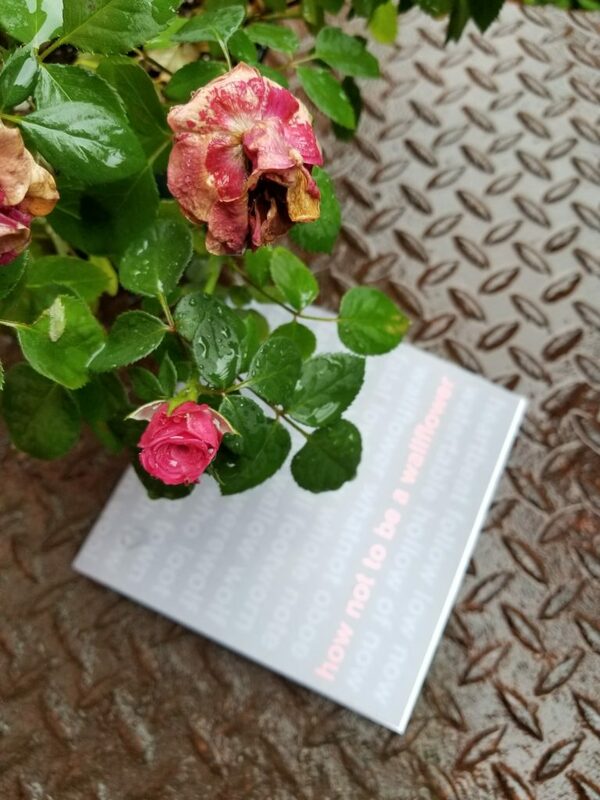 You can order HOW NOT TO BE A WALLFLOWER on Etsy or via Paypal from our website. A brief thank you to Jasmine Sawers (prose editor) & Delmar Reffett (chapbook editor & intern) for their efforts in getting Osedax Press (and me!) back up and running after the election and ensuing political & social shift knocked us all a bit for a loop. For several months. But words are important — we as writers and readers know that already, but it’s worth saying again — and words are the reason we’re here. Words are comfort. Words are tools. Words are what we have when other forms of power are closed to us. There’s no better time to be in the word business, is what I’m saying. And I apologize for our long absence. It’s good to be back. Along with HOW NOT TO BE A WALLFLOWER, we have an exciting new poetry project coming out next month: DIVINATIONS by Christopher McCurry. Please stay tuned for the full announcement (and opening of pre-orders) next week! Previous Previous post: New projects and second printings! Next Next post: New poetry for fortune-telling: DIVINATIONS by Christopher McCurry!